Variable attenuator / beamsplitter is made of kinematic mount with polarizer holder, equipped with thin film Brewster type polarizer and quartz half waveplate. This variable attenuator/beamsplitter consists of UV FS Thin Film Brewster Type Polarizer diameter 76.2 mm, which reflect s-polarized light while transmitting p-polarized light, that is housed into Beamsplitter Mount 840-0056-13 and a quartz Zero Order (optically contacted) Half Waveplate diameter 40 mm (for femtosecond pulses) or Zero Order Air-Spaced Half Waveplate (for high power applications) is housed in rotating Polarizer Holder 840-0180-A2, placed in the incident linearly polarized laser beam. The intensity ratio of those two separated and different polarized beams may be continuously varied without alteration of other beam parameters by rotating the waveplate. The intensity of either exit beam, or their intensity ratio, can be controlled over a wide dynamic range. P-polarization could be selected for maximum transmission, or high-purity s-polarization could be reflected when maximum attenuation of the transmitted beam takes place. 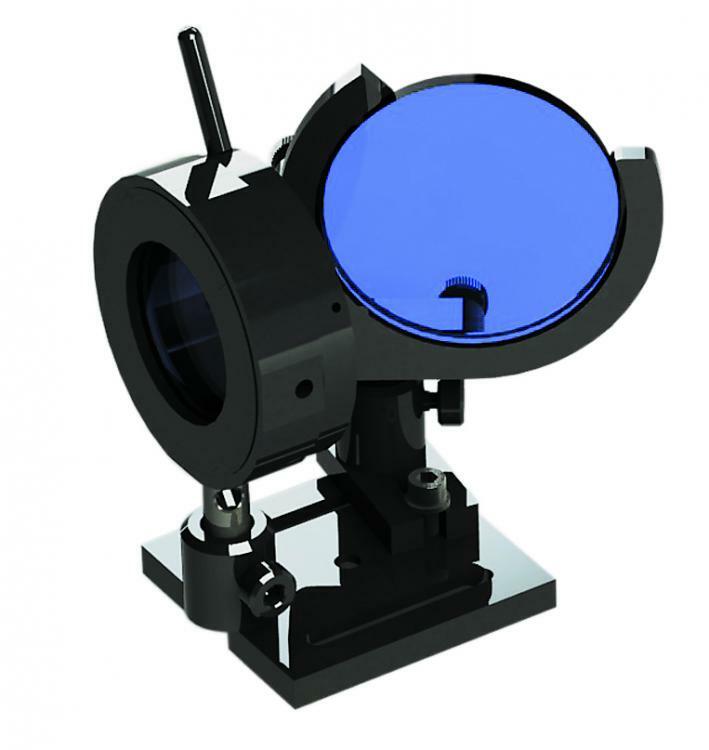 840-0056-13 Kinematic Mount allows to adjust angle of incidence (AOI) of the thin film Brewster type polarizers by ±4.5° and to get the maximum extinction contrast. The mounts are on rods, rod holders and movable base 820-0090. 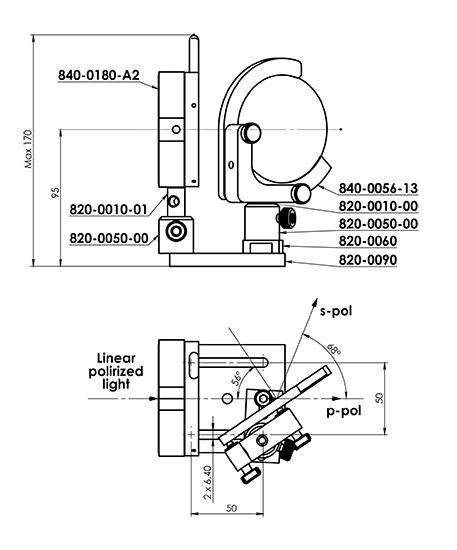 The optical axis height from the table top can be adjusten in the range of 92-98 mm. Other height can be offered as custom changing the standard rods and rod holders into higher.